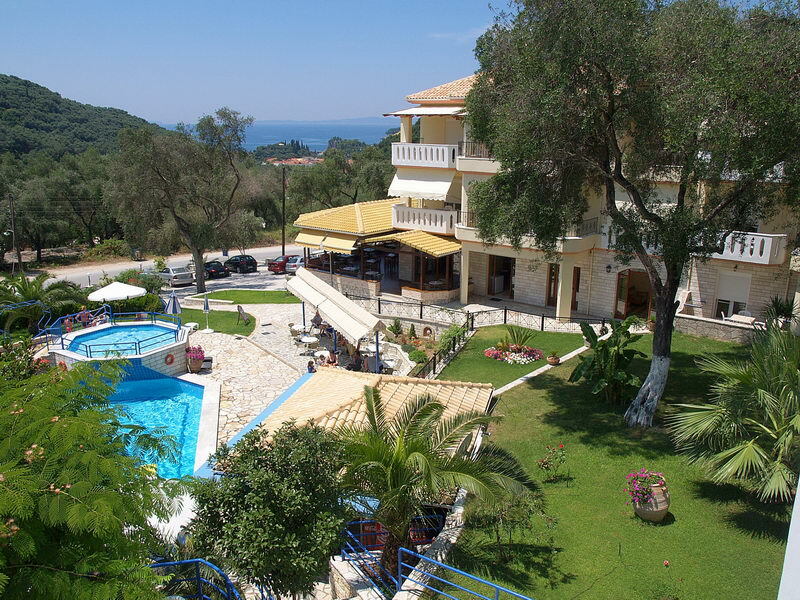 The friendly, family run Adams Edem Apart Hotel is situated on the outskirts of Parga, about 900 metres from the centre. 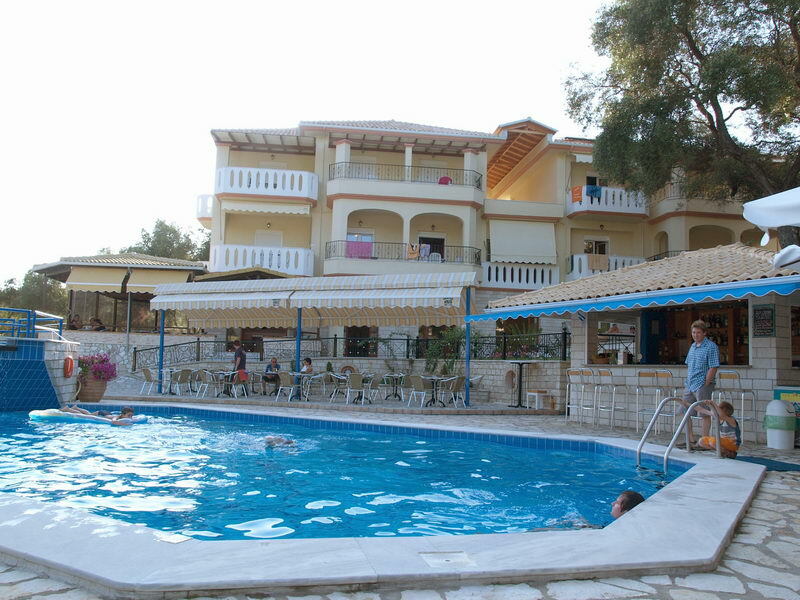 Located just off the main road the area is adorned with ancient olive groves and pleasant, fragrant gardens. 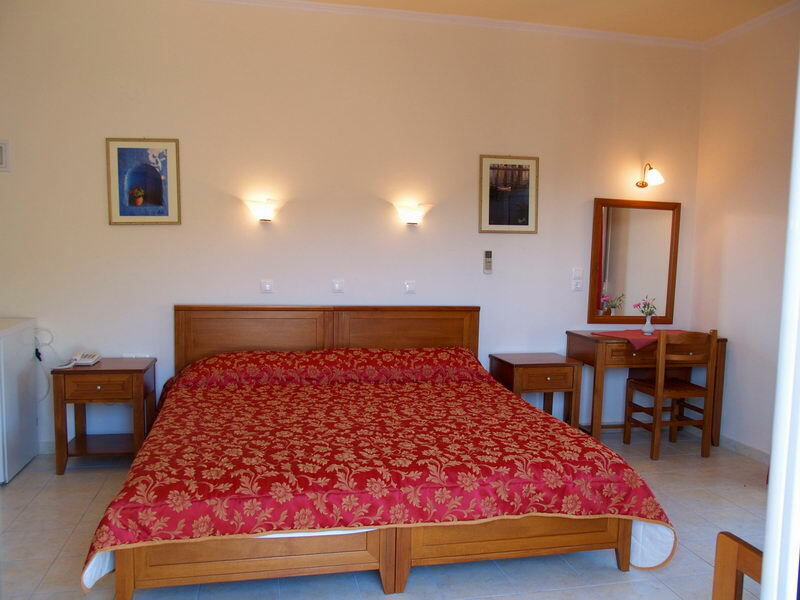 Being away from the centre of Parga, the Adams Edam Aparthotel is able to offer their guests a spacious, peaceful and lovely holiday home. 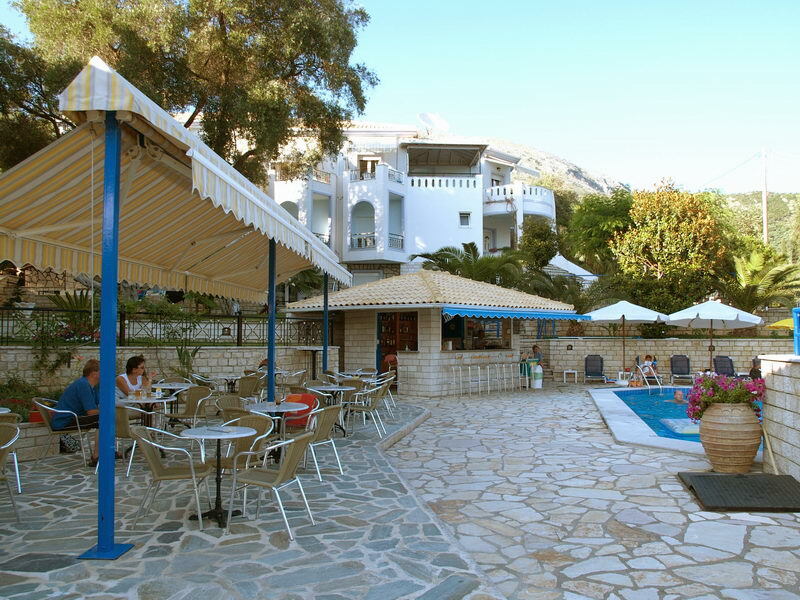 The complex includes an attractive pool and poolside bar and a restaurant for guests to enjoy tasty local dishes. The complex consists of hotel rooms (Hotel room rates include breakfast) and self catering studio and apartments. These are located in a new wing and slightly older wing. Parking is also available within the complex grounds at no extra charge. Although the centre of Parga, with its charming harbour front, cosmopolitan bars and inviting restaurants and tavernas is about 900 metres away, you will not need to go too far for some delicious Greek dishes. There area number of shops, restaurants and bars close to the Adams Edem Apart Hotel, many of which can be found a mere 500 metres away. The owners of the Adams Edem Apart Hotel also offer a mini bus service to beach. Twin Rooms Twin or double hotel rooms. These type of rooms are located in the old wing. All rooms feature air-conditioning, TV, safety deposit box. The hotel rooms rates include breakfast. 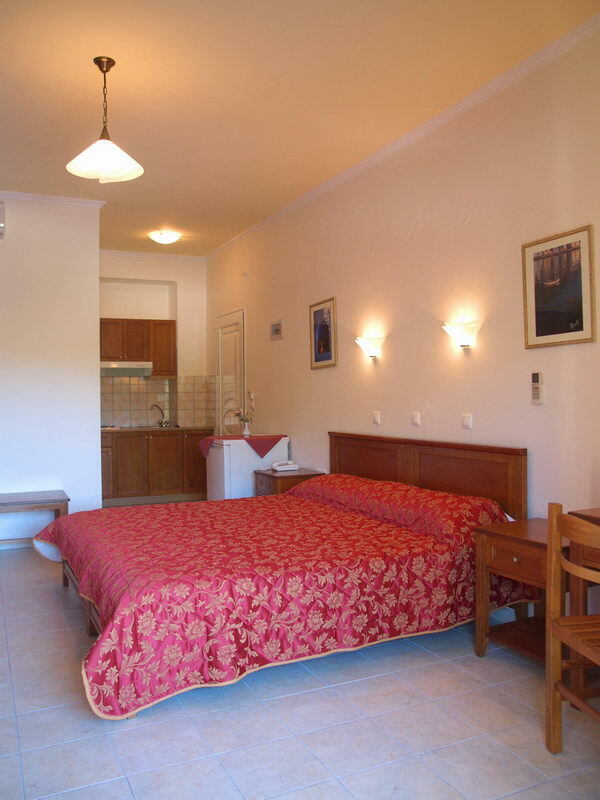 Studios Studios with twin or double beds. Situated in the old wing. All rooms feature air- condioning, TV, safety deposit box. Superior Studios (New wing) Studios sleeping up to 2 adults with twin or double beds, bath, shower, wc, kitchenette with two electric rings and small fridge, air-conditiong,satellite TV, safety deposit box and a balcony or terrace. 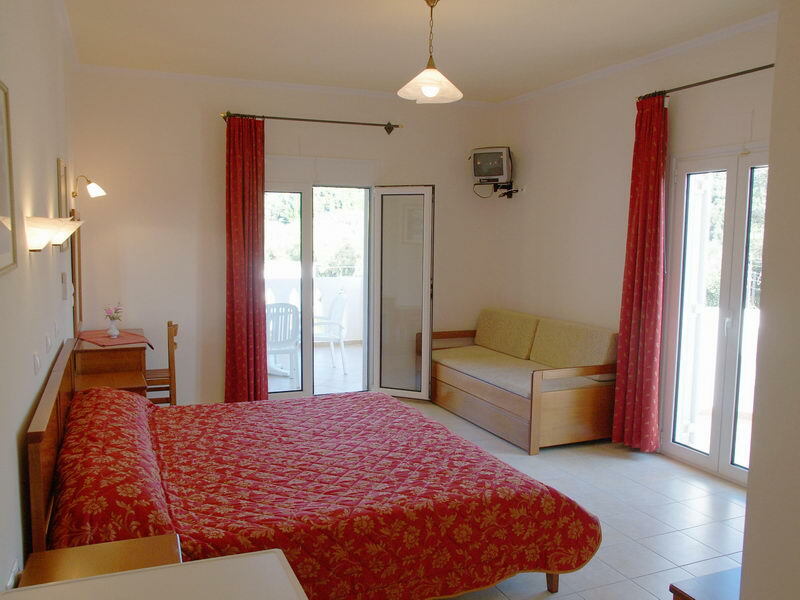 There are also Studios sleeping up to 3 adults, same as above with addition of single sofa bed where necessary. Apartment No 59 sleeps up to 4 persons. 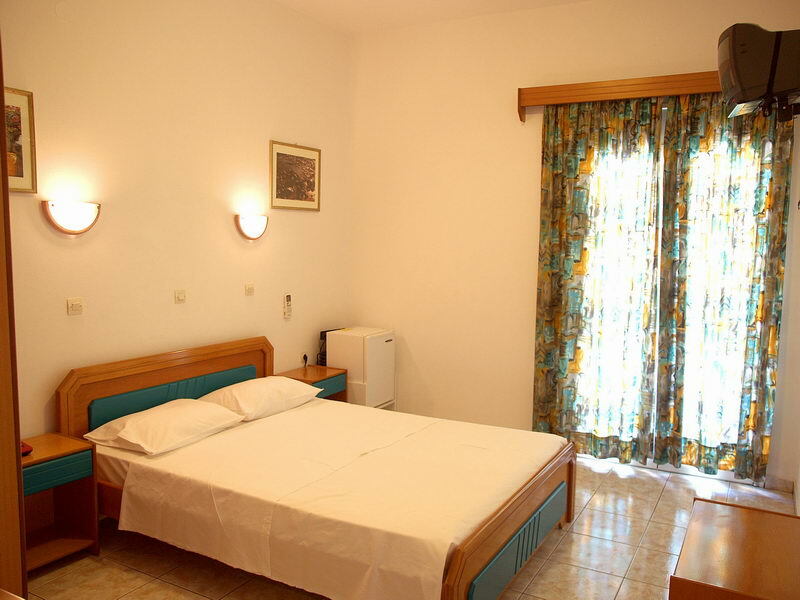 It consists of one separate bedroom and a separate kitchen where is possible to accommodate 2 more persons. Apartment No 49 sleeps up to 4 persons, it consists of two separate bedrooms(Connceting door) and a kitchen.